The economy’s booming. Some states have raised minimum wages. But even with recent wage growth for the lowest-paid workers, there is still nowhere in the country where someone working a full-time minimum-wage job could afford to rent a modest two-bedroom apartment, according to an annual report released Wednesday by the National Low Income Housing Coalition. Even the $15 living wage championed by Democrats would not make a dent in the vast majority of states. The report estimates that renters nationally make an average of $16.88 per hour. That means even those making above minimum wage struggle to afford rent. That’s true in Maine, where the fair market rent for a two-bedroom apartment is $974. To afford this rent and utilities without paying more than 30 percent of income on housing, a household must earn $3,247 monthly or $38,966 annually. The minimum wage in Maine is $10 per hour, much less than the $18.73 an hour needed to pay for the $974 apartment. That means a minimum wage worker would have to hold 1.9 jobs to make the rent on a two-bedroom apartment and 1.5 jobs for a one-bedroom apartment. As expected, the Portland metropolitan area is the most expensive area to live in the state. A worker would have to make $25.92 per hour to afford the two-bedroom apartment. The York-Kittery-South Berwick area follows at a wage of $24.15 per hour. Workers in Greater Bangor would need $18.04 per hour to afford the apartment. The Bangor metropolitan area includes Bangor, Brewer, Eddington, Glenburn, Hampden, Hermon, Holden, Kenduskeag, Milford, Old Town, Orono, Orrington, Penobscot Indian Island Reservation and Veazie. In Hawaii, the state with the most expensive housing, one would have to make $36.13 — about $75,000 per year — to afford a decent two-bedroom apartment. The minimum wage in Hawaii rose to $10.10 per hour this year. It gets worse in many metropolitan areas. San Francisco, Marin and San Mateo counties top the list of most expensive jurisdictions, where one would need to make $60.02 per hour to afford a modest two-bedroom apartment. Nationally, one would have to earn $17.90 per hour to afford a modest one-bedroom apartment or $22.10 per hour for a two-bedroom rental. That’s based on the common budgeting standard of spending a maximum of 30 percent of income on housing. “While the housing market may have recovered for many, we are nonetheless experiencing an affordable housing crisis, especially for very low-income families,” Sen. Bernie Sanders, I-Vermont, said in the report. The low-wage workforce is projected to grow over the next decade, particularly in service-sector jobs such as personal-care aides and food-preparation workers. Meanwhile, the Trump administration has tried cutting federal housing subsidies for the lowest-income Americans. As it stands, only 1 in 4 households eligible for federal rent assistance gets any help, the report said. 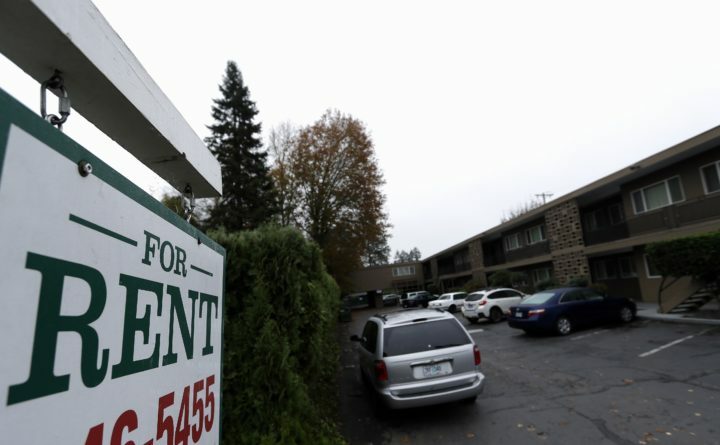 Housing and Urban Development Secretary Ben Carson recently proposed tripling rent for the poorest households and making it easier for housing authorities to impose work requirements on those receiving rent subsidies.